corolla– all the petals collectively, petals attract insects and other creatures to pollinate. Also, petals protect the precious reproductive organs of the flower. calyx- all the sepals collectively, sepals are beneath the petals, they protect the flower bud before it blooms. staminate parts- these are the male parts of a flower, consisting of anthers and filaments. 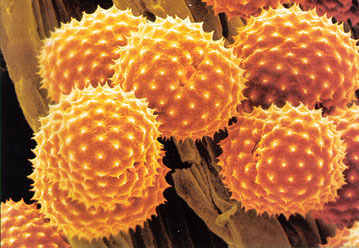 Pollen develops within the anther which splits open to release mature pollen. Filaments are the stalks that give height to the anthers. Together, the anther and filament make up the stamen. pistillate parts-these are the female parts of a flower, consisting of the pistil, ovary, egg, stigma and style. 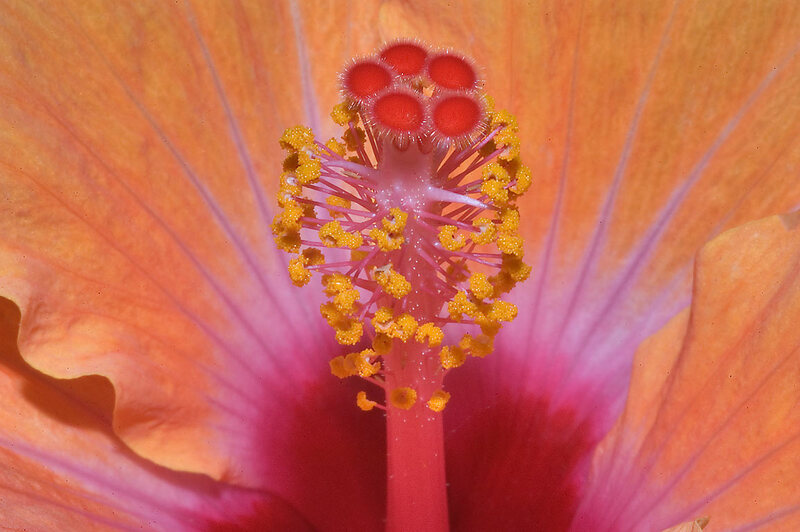 The pistil is a tall structure in the center of a flower, the top splits into style branches or stigmas. 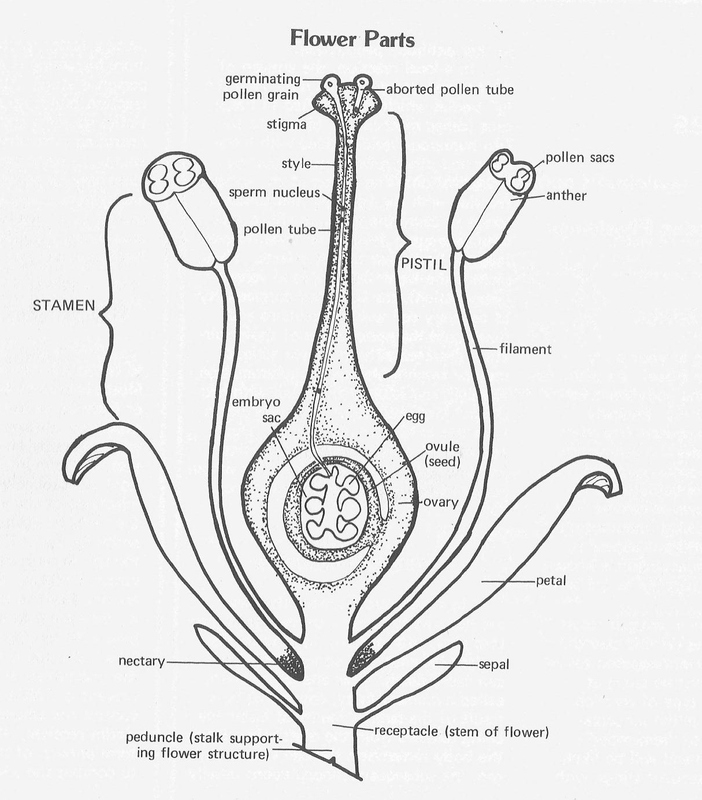 Insects deposit pollen grains into the stigma, and at the base of the pistil is the ovary. The ovary contains chambers called locules, which contain ovules. Inside each ovule is an egg, which becomes a seed if it’s fertilized. 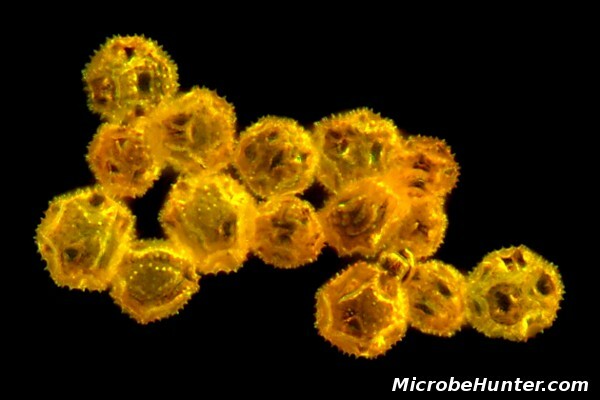 pollen- grains carrying the sperm nuclei. 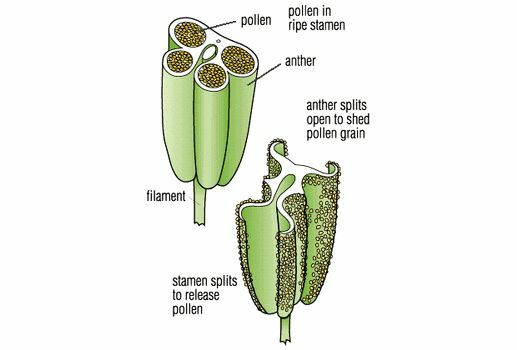 Pollen can reach the female stigma carried by wind or animal, and it can germinate growing down the style toward the egg inside the ovule. Information from books: Flowers, How They Changed the World, by William C. Burger and Structure and Function of Plants, by Jennifer W. MacAdam. (a google image search won’t disappoint either).